This annual series continues the cooperative effort to abstract and publish in formula order all the ultraviolet-visible spectra of organic compounds presented in the journal literature. Over 50 chemists have searched 100 plus titles during the course of this project to assemble over 350,000 spectra throughout these volumes. John P. Phillips is the editor of Organic Electronic Spectral Data, Volume 30, 1988, published by Wiley. 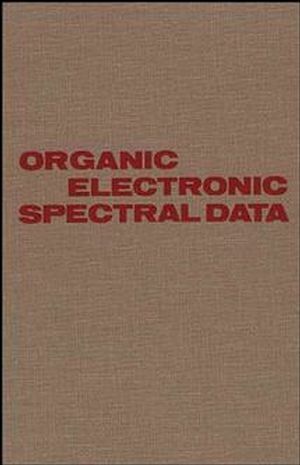 Dallas Bates is the editor of Organic Electronic Spectral Data, Volume 30, 1988, published by Wiley.